They say it’s the craftsman, not the tools, but that doesn’t mean all screwdrivers are the same. While any good freestyler could get the job done barefoot, the perfect pair of shoes can bring their games to the next level. We sought out some of the world’s best pros to get their takes on their favorite freestyle shoes, and what goes into their choice — from fit, to material, to aesthetics. 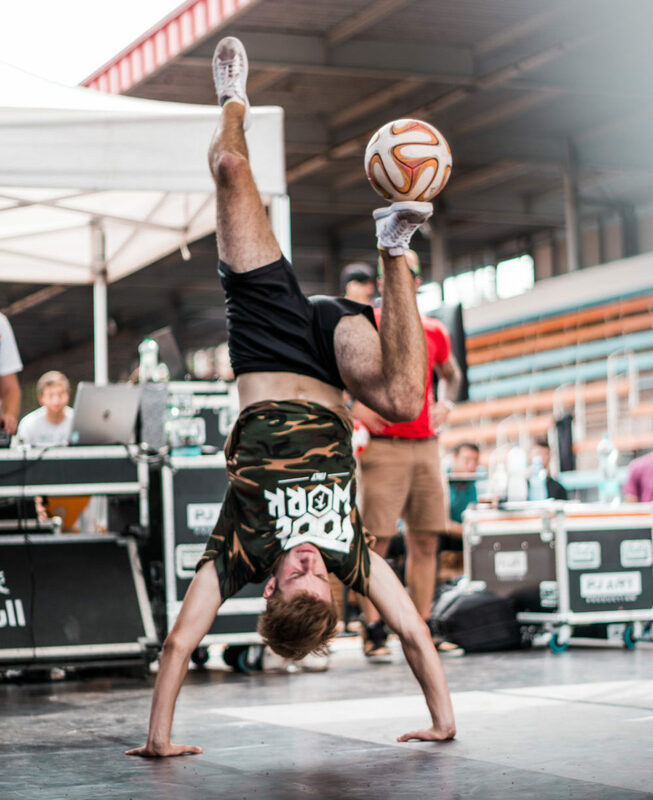 Every day, we continue to be amazed by the feats of athleticism conquered by the vast amount of freestylers around the world. 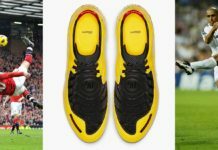 When seeing these amazing tricks, most people are probably drawn to watching the ball move, but let us not forget that the choice of footwear for freestylers can have an impact on performance. 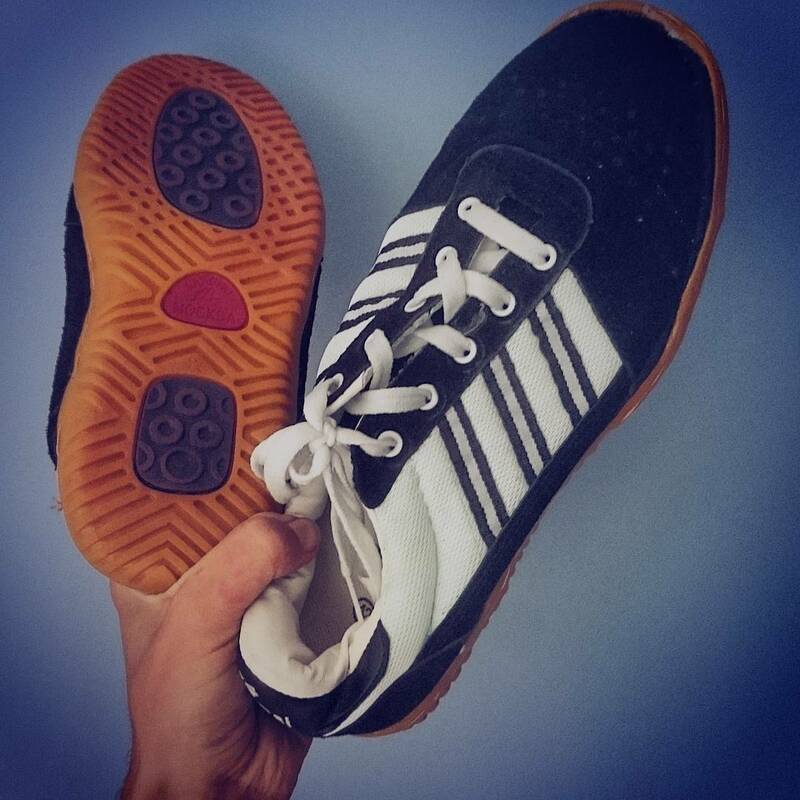 There have been a handful of go-to shoes for freestylers over the years, as well as some more quirky individual choices. We now take a look at some of the different shoes used for freestyle, as backed by some of the pros. 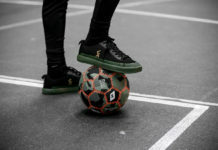 The Elastico Finale II was one of the most popular models among the freestyle community until Nike stopped its production and introduced an entirely new line of futsal boots. (RIP Lunar Gato.) 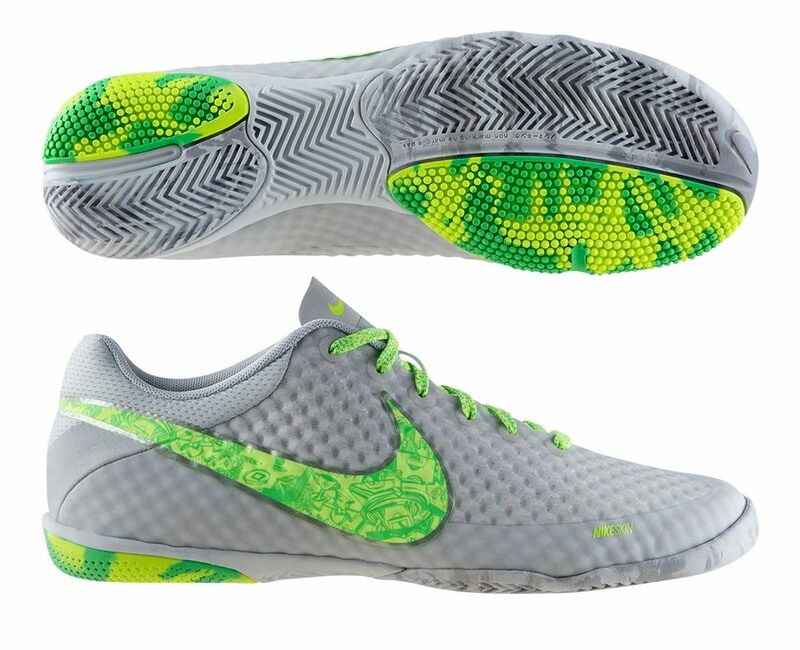 Described as your typical indoor-type shoe, the Elastico was especially desirable for its close-to-the-foot, thin feel and NikeSkin touch. Despite them being an absolute rarity now, Ashraf Youssef is still prepared to pay whatever cost just to be able to do his crazy lowers in them. 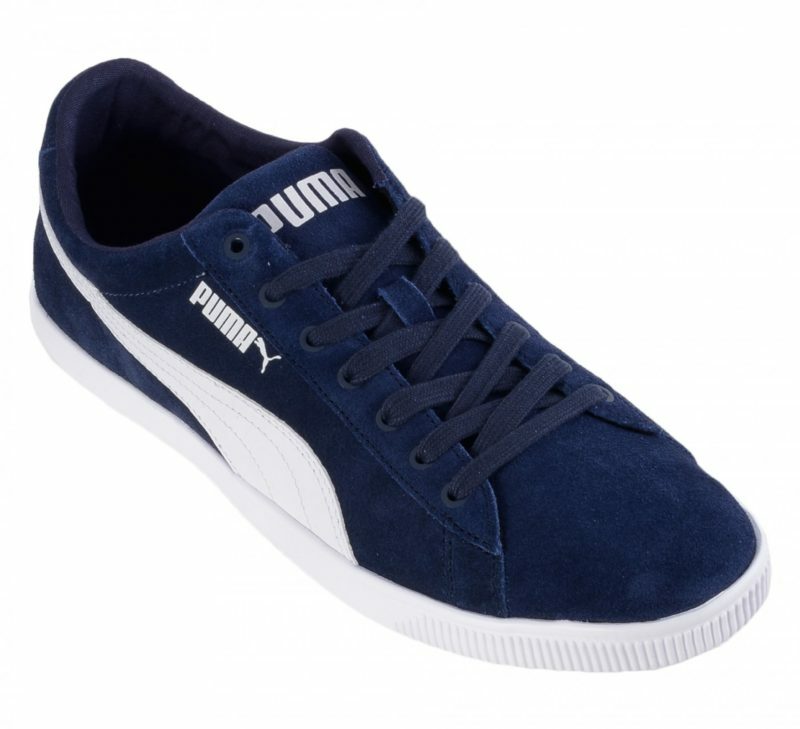 Moving away from your futsal boot, the Puma Archive Light is a much more casual shoe by design, and is perhaps the most popular freestyle shoe by a major sports brand. The shoe has been released in a range of materials and colorways, with most freestylers gravitating to the mesh material edition of the shoe. Philip Warren Gertsson (aka PWG) is one of the many pros who rate the Archive Lites over any other shoe. PWG in action at the Superball 2017 World Championships (Photo taken by Jannis Gasser). The Archive Lites are also the go-to shoe for 2017 European Female Champion Aguska Mnich, who also prefers the shoe’s low-profile, barefoot feel. Slightly different from the Archives, these also were available in a variety of materials and colors, but it was the canvas pair that most appealed to freestylers. It offers a touch that is slightly different from mesh material shoes such as the Archive Lites, which can be particularly handy depending on the texture of what ball is being used. 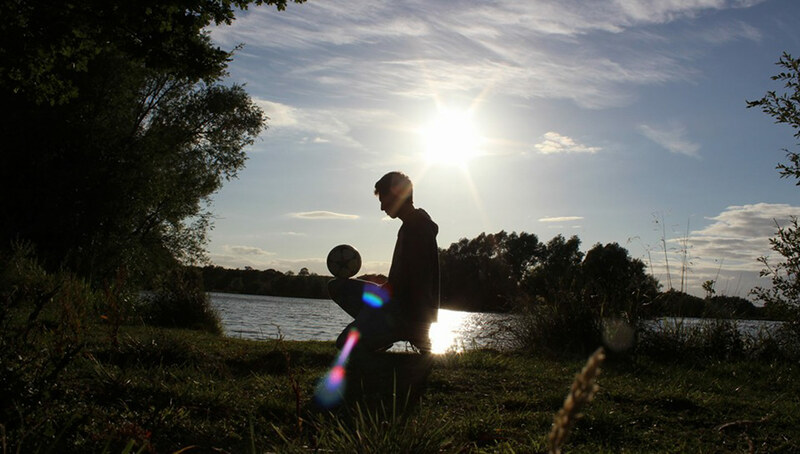 Josh Sanders freestyling in a rare spot of good English weather. The UK’s very own Josh Sanders is a big fan of the Glydes, especially in the lowers department. “My favorite shoes are the Puma Glyde Lites as they are very light and the material makes them very grippy, perfect for keeping the basics under control in combos,” Sanders said. 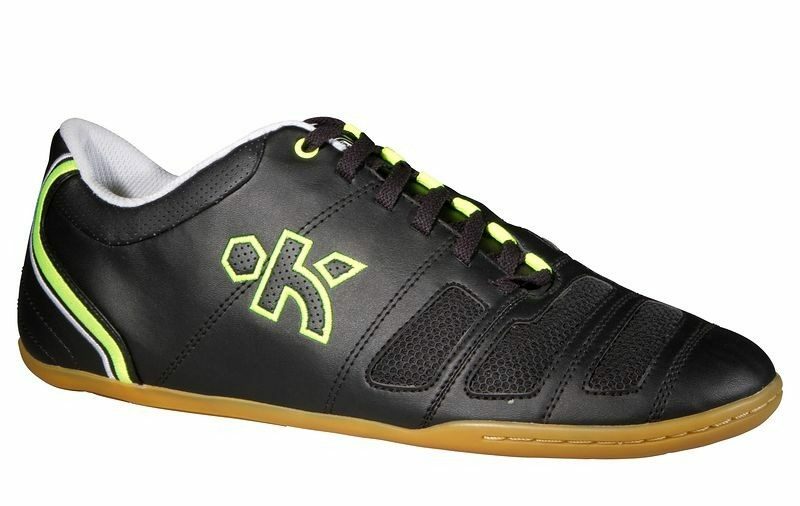 One of the more radical and lesser-known choices, this is certainly an old-school shoe of the futsal variety. A sturdy, standard design from Kipsta, this model is probably a bit before the time of many of today’s freestylers. 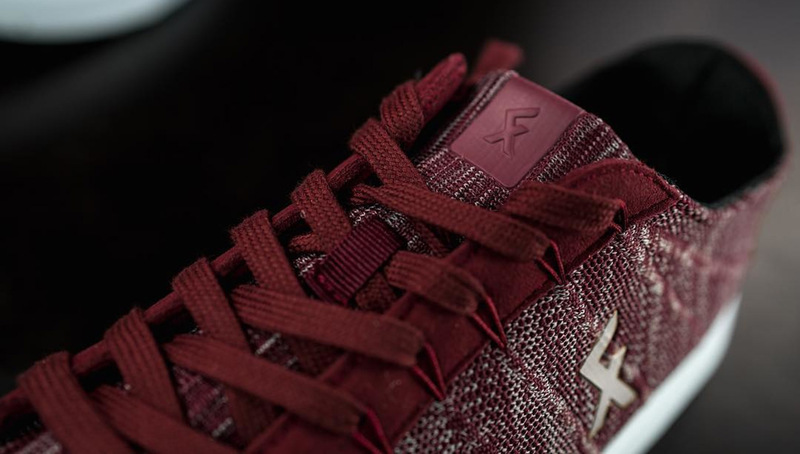 Freestyle veteran Daniel Roseboom, who many will know as the person behind the I AM A FREESTYLER social media accounts, finds value in these budget-friendly shoes over some of the higher-priced bigger brand models. “The Kipsta Caramelo 700 is super flexible, durable, and cheap,” Roseboom said. 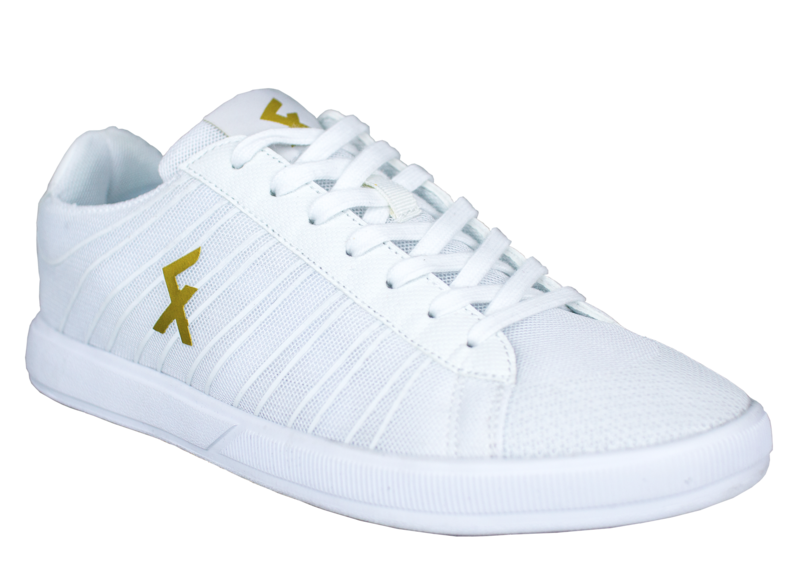 Easily one of the most popular choices for freestyle shoes at the minute unsurprisingly comes from Tobias Becs’ 4Freestyle brand. The successor to the first edition of the Explore shoe seeks to be the best for freestyle, all while maintaining the brand’s ideology of being made by freestylers, for freestylers. Italian lowers legend Luca Chiarvesio is a big advocate of these shoes. Luca performs a J-Stall in one of his qualifying rounds at Super Ball 2017 (Photo taken by Jannis Gasser). Joining Chiarvesio in the love for the Explore II is everyone’s favorite freestyler-turned-rapper, Daniel Got Hits. “They aren’t at the same level as more established brands in terms of technical performance — yet — but the fact that they are designed with the freestyle community specifically in mind means a lot and I love supporting the brand,” Daniel said. 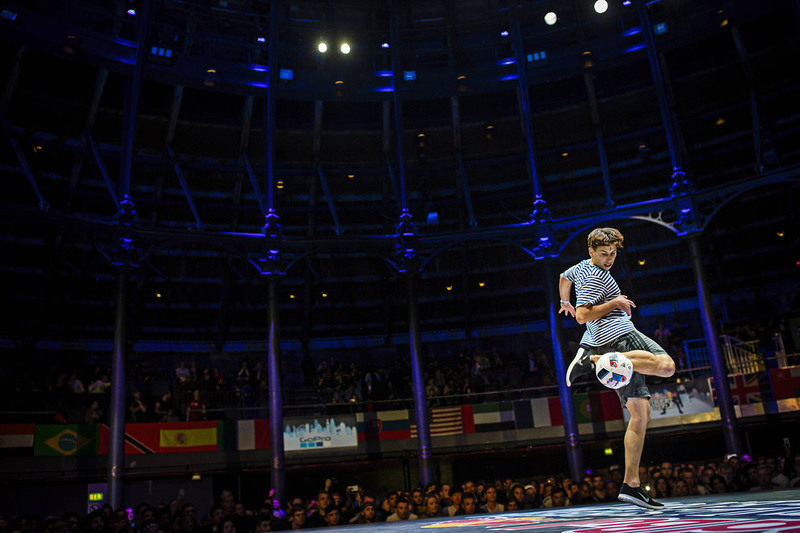 Daniel Got Hits in action at the 2016 Red Bull Street Style Finals in London (Photo via Red Bull Content Pool). A unique choice that seems to tick a few boxes for some freestylers, the Mockba shoes are extremely cheap and sold on market stalls out in Russia and Eastern Europe. On the foot they are extremely comfortable, even if their durability leaves a lot to be desired. Also known as the “Kedosicks”, they have a large surface area on the sole and a unique shape with a dip in the middle which is ideal for sole variations — something that Belarusian freestyler Vladislav Kostuchenko (KVP) feels the full benefit of for his amazing live performances.